The Hex Cap nuts made as per DIN 917 are ideal to close a threaded portion jutting out from a fixture. We stock Cap Nuts of Stainless Steel AISI-304 Grade. Easy to install, precise finish, and high durability are some of the best attributes of our Acorn Nuts that make them desirable. DOME or CAP Nuts are available in Mild Steel and Stainless Steel. 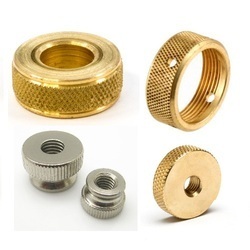 We are reckoned in offering Cap Nuts to our clients. 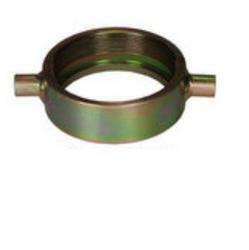 These nuts are available in different specifications and sizes as per the customer’s demands. Our Cap Nuts are highly demanded in market for their precise dimensions, durability and corrosion resistant nature. At pocket friendly rates customers can avail these nuts from us. - Size: 1/8" to 2"
Quality being the ultimate aim, we offer an exceptional range of Round Nuts that are manufactured using quality tested raw material and advanced technologies. They are dimensionally accurate in nature and are delivered in standard lengths. Round Nuts are abrasion-resistant in nature.